Today we are going to learn about how the Portuguese word order works. We are also going to learn how you can put words together in order to build sentences and express your thoughts. As you know, when you speak, you use sounds. These sounds can be graphically represented by written words. These words will build sentences. These sentences have to be placed in a specific order to express your ideas and thoughts. And this order shows the way you want others to understand you. The spectacular capacity of your brain allows you to express your thoughts by mouth noises which, when uttered in a particular order, allow you to communicate. This applies to all spoken languages and obviously Portuguese is no exception. My point with all of this is to make you think about the way you speak in your own language first. Then you may realise that when you speak, you convert your thoughts into words which together and in a specific order, allow you to say what you want to say, and want others to understand. 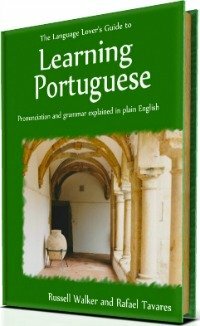 But, if you are thinking that getting used to the correct way of putting words together and making sentences in Portuguese is not an easy task, I have good news for you. OK, if you read any text in Portuguese or if you listen to a native Portuguese speaker talking, you may notice that sometimes the word order in Portuguese is different than the word order in English. And that's true sometimes. You may also realise, for instance, that, whereas you say in English "Maria has a beautiful car", a Portuguese native speaker would literally say "Maria has a car beautiful". I know, I know, this is not always the case. But remember there is a reason for everything. The good news is that, generally speaking, the structure of a sentence in Portuguese is not much different than the one in English. You only have to pay attention to specific cases and, at the beginner, pay attention to the kind of sentence you want to use. 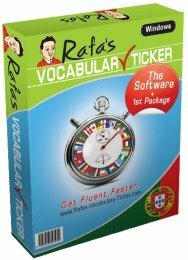 The Portuguese word order is Subject (S) > Verb (V)> Object (O). Then, you just have to link the different small sentences together with clauses to construct your story. 1. If your sentence is a statement. 2. If your sentence is a statement-question (a statement with a question mark at the end). 3. If your sentence is a direct question (with a question word at the beginning and a question mark at the end). 4. If your sentence is negative (with a negative word in it, like "não"). 5. If your sentence includes a description of something (with an adjective). 1. If a sentence is a statement. If your sentence is a statement, you are expressing a fact. Normally you are talking about a specific event. Let's analyse the following sentences in pairs - first the Portuguese and then the English, sentence by sentence. Please compare and contrast the Portuguese word order and the English carefully. PT Ele tem uma casa no Rio de Janeiro. Eng. He has a house in Rio de Janeiro. PT Ela lavou a roupa na máquina. Eng. She washed her clothes in the washing machine. PT Nós lemos um livro na praia. Eng. We read a book at the beach. PT Eles comem salmão ao almoço. Eng. They have salmon for lunch. PT Os Senhores marcam a reunião para amanhã. Eng. You (gentlemen) are going to schedule the meeting for tomorrow. You see, only with these type of sentences you could easily tell a story to somebody, by placing one simple sentence after another using the correct Portuguese word order. Another interesting thing is, as you can also see, you can use the same Portuguese word order in the present, past and future tenses. Please be aware that, when speaking in Portuguese, the subject (eu, tu, você, nós, eles, etc.) is often hidden. This means that the verb itself indicates the subject of that sentence: e.g. "Vamos estudar hoje e amanhã." to say "We are going to study today and tomorrow." You can also place the adverbs "today" ' "hoje" and "tomorrow" "amanhã" either at the beginning or at the end of your sentence. Did you get this? Great! Let's jump to the next case. 2. If a sentence is an statement-question (a statement with a question mark at the end). If you want to ask a question in Portuguese, the Portuguese word order is exactly the same as when you make a statement. All you have to do is to raise the intonation at the end to make it sound as a question. Please note however that whereas in English you need to use a verb at the beginning when you ask a question, in Portuguese you don't. e.g. in English you would say "Are you (gentlemen) going to schedule a meeting for tomorrow? ", but in Portuguese you would say "Os senhores vão marcar a reunião para amanhã?". You start your question with the verb straight away. PT Ele tem uma casa no Rio de Janeiro? Eng. Does he have a house in Rio de Janeiro? PT Ela lavou a roupa na máquina? Eng. Did she wash her clothes in the washing machine? PT Nós lemos um livro na praia? Eng. Did we read a book at the beach? PT Eles comem salmão ao almoço? Eng. Are they having salmon for lunch? PT Os Senhores vão marcar a reunião para amanhã? Eng. Are you gentlemen going to schedule the meeting for tomorrow? When asking a question out loud, please don't forget to raise the intonation at the end. OK, did you understand this second rule of the Portuguese word order? Did you get it? Good! Let-s see number three. 3. If a sentence is a direct question (with a question word at the beginning and a question mark at the end). In this case, in order for you to get a good Portuguese word order, all you need is a question word at the beginning of your sentence and then a statement. Let's, once again look at the following examples. Please read them carefully one by one and pay attention to the Portuguese word order. PT O que (é que) Ele faz no Rio de Janeiro? Eng. What does he do in Rio de Janeiro? PT Onde (é que) ela lavou a roupa ? Eng. Where did she wash her clothes? PT Onde (é que) Nós lemos o livro? Eng. Where do we read the book? PT O que (é que) Eles comem ao almoço? Eng. What do they do they have for lunch? PT Para quando (é que) Os Senhores vão marcar a reunião? Eng. When are you gentlemen going to schedule the meeting? You see, the Portuguese word order when you ask a question is not very different from the previous explanations. You basically keep the normal structure that a statement has adding a question word at the beginning, and obviously raising the intonation at the end, when you are speaking. Bang! Easy! Let-s go for number four. 4. If a sentence is negative (with the word "não" in it). If the sentence you want to build is a negative sentence, and I mean a statement a deny (e.g. "I don't like salmon" - "Eu não gosto de salmão"), you need to place the negative word before the verb in order to get a correct Portuguese word order. Negative words are often "não" (no, don't), "nunca" (never), "nem" (nor). Subject. (S) > Verb (V)> Object (O). PT Eu não quero sopa. Eng. I don't want soup. PT Ele não estudou a ordem das palavras. Eng. He didn't study the word order. Eng. We aren't going to the beach. PT Eles não vão almoçar em casa. Eng. They are not going to have lunch at home. Eng. O leite não é fresco. PT The milk is not fresh. Do you have everything under control so far? If yes, move on to Portuguese word order rule number five. 5. If a sentence is descriptive (with an adjective). 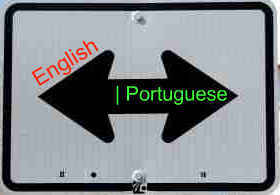 Here there is a radical change if you compare both, the Portuguese word order and the English one. The descriptive word (in other words, the adjective) needs to be placed after the noun all the time. As I mentioned above whereas in English you place the adjective before the noun, e.g. "Maria has a beautiful car", in Portuguese you need to place the adjective after the noun like "Maria has a car beautiful". I know! It doesn't sound right when you think in English, but in the Portuguese word order it makes all sense. Believe me! Also, when it comes to using adjectives (or describing words) in a sentence, you may use more than one. PT A casa grande é bonita. Eng. The big house is beautiful. PT As bananas maduras são mais baratas. Eng. The ripe bananas are cheaper. Eng. An old car isn't expensive. PT As ruas largas são menos perigosas. Eng. Wide streets are less dangerous. Eng. O computador novo ficou mais caro. PT The new computer ended up more expensive. Did you notice that the adjective 1 was placed the other way round compared to English? Well, this is not big deal either, is it? If you understand this structure, let's jump to the next step to fully understand the Portuguese word order. Practice all the structures now! Yes, this is your next step! Don't let yourself be satisfied just by reading this page. Do some practice now. Try to make up a story with small sentences. Put them together in the negative, asking direct and indirect questions, using adjectives, and so on. Use the correct Portuguese word order now. Just write sentences down in Portuguese and read them out loud. You will see that your Portuguese will improve quickly! 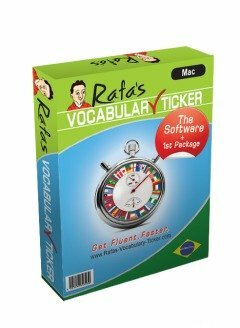 If you need to consult the different types of words, click here . Go Back From Portuguese Word Order To Grammar.